Imagine a room full of college students and police officers anxiously awaiting to hear your presentation on how to better identify missing or abducted children, but wait! The audience is not only in front of you, but they are also in two other states! Can this really happen? Yes it can! We have used distance learning technology to make such presentations possible. To make it even sweeter, the cost was zero because the entire broadcast was through a computer! In these hard economic times when students may not be able to afford to attend conferences, Distance Research Talks allow students to participate in research presentations with little or no cost. 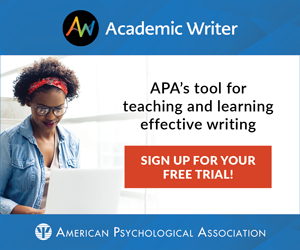 Students may learn about research studies directly from researchers by attending state, regional, or national conventions such as the American Psychological Association (APA) or the Association for Psychological Science (APS) annual conventions. However, many students do not have the opportunity to travel to such conferences due to budgetary restraints. Students can present at colloquia and brown bag meetings, but wouldn’t it be an even more rewarding experience if they could interact with students and faculty at other institutions as well? In the present article, we describe a way for psychology students to both present and hear research presentations from psychologists at other institutions without traveling to a conference. We refer to these research presentations as Distance Research Talks (DRTs). Although we do not have conclusive evidence concerning the effectiveness of DRTs, we believe that many faculty will find the idea worth considering. A Distance Research Talk is a presentation of research to multiple institutions via distance videoconferencing. Presentations may be from academic psychologists, practicing psychologists, graduate students, or even undergraduates who are engaged in research. Our focus is on the use of DRTs as a way to engage students at different institutions in thinking about research. Our DRTs are typically an hour long, allowing approximately 45 minutes for the presentation and 15 minutes for questions and answers. The DRTs are presented at the most convenient time for the institutions involved. We have found that having a set time allows interested parties to plan the DRTs into their schedules. The DRTs are not typically held during class time; however, sometimes entire classes have attended when the research topic was particularly relevant. For example, an entire cognitive psychology class attended a talk on eyewitness identification and an entire social work class attended a talk on the effect of fathering in single parent households. Additionally, some members from the community, including police officers, attended a talk on the effectiveness of AMBER alert photographs of missing children. Organizing a DRT involves a number of considerations. The organizers must ensure that each institution has live video conferencing technology. We have found that most universities and colleges do have the technology, and branch or satellite campuses often make heavy use of these facilities. If you are planning to organize a series of DRTs, the following considerations may be helpful. Video Conferencing Fees. We advise checking to determine whether there is any cost associated with the video conferencing. Typically there are no charges for using the video conferencing rooms; however, we did have one instance in which a fee was charged by the presenting institution. Such fees may be an issue, as budgets to support talks such as these may not exist at many institutions. Fortunately, because the talks are broadcast via the internet, most institutions do not charge a fee. Inviting Presenter: Arranging the presentations consists of inviting professors from our own institutions as well as inviting both undergraduate and graduate students to present their research to multiple campuses. We have been increasingly successful at inviting presenters from other institutions whose research we thought would be of particular interest to our students. Another method of recruiting presenters could involve speaking with potential presenters at state, regional, or national conferences. Sometimes it takes being creative to find psychologists at other institutions to present; however, we have been very successful in finding six to eight DRT presenters each semester. In addition to faculty presentations, one of the DRTs consisted of three undergraduate research interns who presented on results from their summer research internships, and a graduate student presented his proposal for his thesis. Graduate students may find that a DRT is a good forum to practice a thesis or dissertation defense. Advertising. It is important to advertise the talks at each of the participating institutions. We advertise by posting the schedule on the university websites, placing posters and announcements in the psychology hallways at each institution, and announcing the presentations in psychology classes. We have found that the audience has grown as we have advertised consistently. Student participation has increased at one institution to the point of now requiring two distance education rooms to accommodate the audience. Technology. In order to connect to a university via video conferencing, the university must have a H.323 compatible video conferencing unit. This unit enables multiple universities to connect at the same time for the DRT. There are also some web-based teleconferencing options. We suggest contacting the IT personnel at the universities wanting to participate in a DRT and letting them have a practice run to make sure the connection will function properly before the actual time and date of the DRT. International Possibilities: There is also potential for international distance talks. Thus far we have connected twice with universities in Canada, but the possibilities are limitless. The distance talks provide opportunities to forge long-lasting connections with other universities. There are multiple advantages for both students and faculty members participating in DRTs. For students, the DRTs are a forum in which they learn about the research of psychologists at colleges and universities other than their own institutions. Students not only learn about different areas of research in psychology, but also learn about how research methods and designs are applied to real research studies. The faculty members can then relate the presentation results to classes such as statistics or experimental psychology. In addition to hearing about research studies, students can see the researcher and can interact with the researcher by asking questions. Students may be more likely to become engaged in research if they feel they have a personal connection with a researcher, particularly if the area of research is of interest. Our DRTs have spurred interest in becoming involved with psychological research studies. For example, since the inception of the DRTs, five students have joined the research lab of one of the authors, and these students have been successful in becoming involved in conference presentations and preparing research manuscripts for publication. Exposure to research being conducted at other institutions may also encourage students to apply to programs such as the Research Experience for Undergraduates (REU) funded by the National Science Foundation or the McNair Scholars Program. The McNair Scholars Program is a federally funded program that prepares eligible participants for doctoral studies through involvement in research and other scholarly activities. 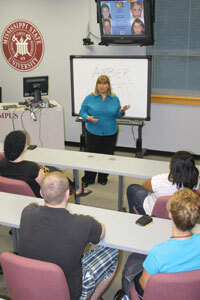 Programs such as these have been successful in increasing interest in conducting research. Russell, Hancock, and McCullough (2007), for example, surveyed 15,000 undergraduates between 2003 – 2005 who had participated in a REU. According to the results of their study, undergraduates showed increased understanding, confidence, and awareness of conducting research studies after completing the program. Additionally, the results of this study showed the students had increased expectations for obtaining a PhD. We have had informal indications that students are interested in discussing research after participating in a DRT. Often after a talk, students remain in the room to continue the discussion with faculty members who are present. To enhance the learning experience of a DRT, students are often given articles by the presenter in order for them to better understand the research study being presented. Additionally, the presenters can also send a list of questions for the students to answer about the purpose of the study, design and analysis of the research, and the conclusion. Furthermore, online discussions can be held both before and after the DRT. Another advantage of DRTs is that they can be recorded, so the talks can be shown in research methodology courses or in other courses in which the presentations would be relevant. For example, when the author of the textbook for one class presented to the students on research studies he discussed in the textbook, the students reported having a much more positive opinion of that area in psychology. Additionally, we have used DRT presentations as examples of particular research designs when teaching our courses, which may provide a more meaningful and concrete way for students to understand the research concepts. For example, hearing and actually seeing pictures of eye-tracking equipment, or seeing the actual stimuli used in a study and how the researcher measured the dependent variables using the equipment and stimuli, may help the students understand the research concepts better than discussing the concepts alone. We have encountered several challenges as we have developed our continuing series of DRTs. One challenge involves presenters learning the technology for presenting via video conferencing. Although all of the institutions involved in the distance talks have provided technical support, presenters who have not used the technology previously can encounter some challenges. For example, it may be difficult to remember to change the view back and forth from the computer display to the presenter. In some cases, we have had researchers at a third institution present to audiences at other institutions, but not to anyone at their institution. In these cases, the researchers presented to an empty room with two to three screens, one showing the PowerPoint slides, and the other two showing the distance audiences at the two institutions they were presenting to. This type of situation can be awkward for a presenter who is not accustomed to this type of presentation. Generally, the video conferencing technology has worked well, but we have learned that presenters and organizers should be prepared to adapt to technical difficulties. We have had some situations in which the audio or video signal was disrupted or slightly delayed due to the amount of network traffic. Delays may be a particular issue with international presentations, but up to this point our international presentations have been limited to the U.S. and Canada, and we have not experienced major delay times in transmission. In some cases we have momentarily lost a connection. Another issue we sometimes encounter concerns the microphones available to the audience for asking questions. If a student at one institution, for example, asked a question and forgot to turn off the microphone, any paper rustling or whispering would be picked up and heard at the other institutions. We have addressed this issue by giving instructions to the students at all sites to make sure that the microphone was turned off after asking a question. There are also challenges involving time. Scheduling can be challenging due to time zones, class schedules, and room availability for all institutions. Attendance tends to be better when there is a predictable schedule. Therefore, we consistently schedule all talks at the same time. Other significant time commitments for the organizers at each institution issue include arranging rooms and technical support as well as advertising the presentations. Using available technology to expose psychology students to research talks via video conferencing, especially those at branch and satellite campuses, has been very exciting. A major part of psychological science is sharing our research findings with others in the field by presenting at conferences or publishing in journals. We propose that presenting research to diverse student populations via distance education technology is another important component of how science should be communicated. Distance research talks provide a good solution for those students who would not otherwise be able to interact directly with influential researchers. Future uses for DRTs could include DRT conferences. The host institution could arrange for some of their presenters to give their talk in a distance learning room, possibly an auditorium. Having Distance Research Conferences (DRC) would enable students from different parts of the country to be part of a research conference. The receiving institutions could also present their research via the DRC. With the substantial cutbacks in funding that many educational institutions are experiencing, having access to a free DRC would enable students and faculty to present their research studies without the usual financial burden. Some students are not able to attend conferences because their institutions cannot afford to support their travel. Although the experience of a DRC would not be the same as a regional or national conference, it would enable students who present to enrich their curriculum vitae for graduate school. Another possibility would be to invite community college general psychology classes to attend the DRTs. Exposing community college psychology students to the vast area of areas of research in psychology may increase their interest in the an area they had never considered, and the DRTs could influence some non-psychology majors to consider psychology as their major or minor. We hope we have encouraged other faculty to consider the possibility of becoming involved in DRTs. We have only begun to explore the possibilities of using videoconferencing technology to connect students with researchers all over the world. As more psychologists begin to explore these possibilities, there will be a continuing need to collect data bearing on whether DRTs are effective at accomplishing the goals that we have for them as faculty.